Bookmark posts with a single click. 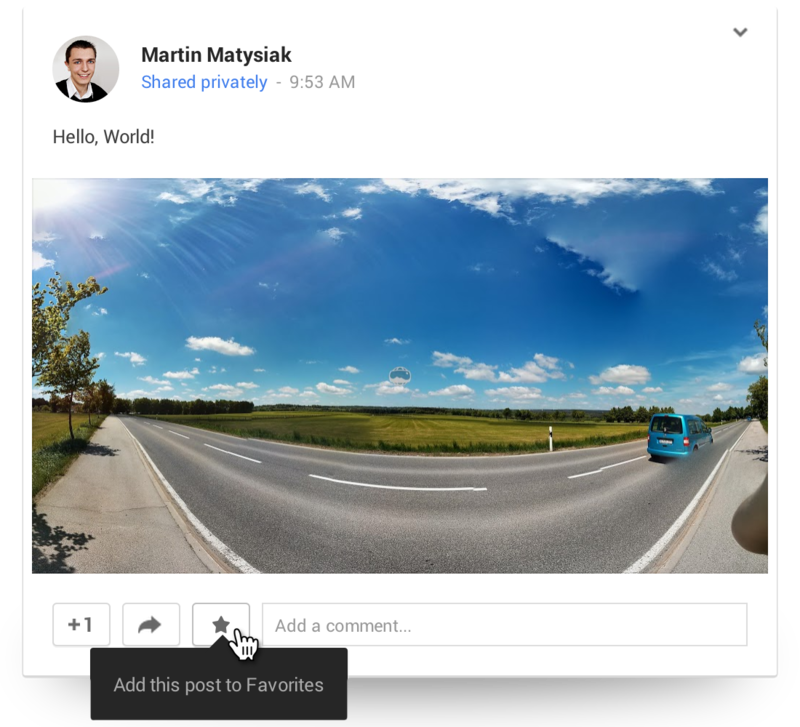 Every post on Google+ has a conveniently placed Star button with which you can add a post to your list of favorites. It's everywhere: no matter if you're looking at a post through Gmail, your Notifications area or embedded posts all across the web: the star button will always be there. Share your favorites: You can easily connect services like Instapaper or Pocket with which you can share your favorites in a matter of seconds. Powered by the cloud: You've got multiple computers? No problem! If you've enabled synchronization in your Chrome Browser, your favorites will be synchronized automatically as well. Access your favorites right from the Sidebar. The extension provides you with an exclusive stream just for your favorites. It has also several filters to show just the favorites you want, selectable on top of the stream. 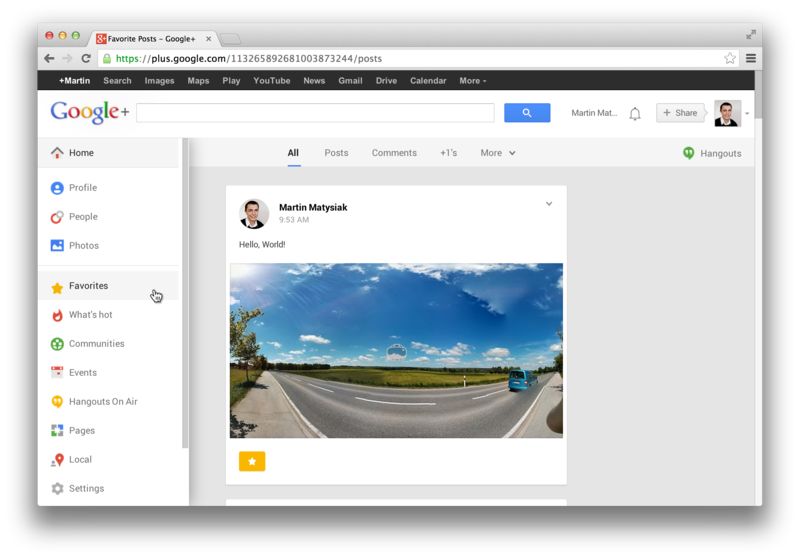 Favorite Posts for Google+ is a Chrome Extension written by Martin Matysiak. Follow Favorite Posts on Google+.